Our Headteacher, Deputy Heads, Class Teacher, Chair of Governors and parents will sign this agreement to demonstrate a shared commitment to the pupils. A blank copy of this can been seen below. 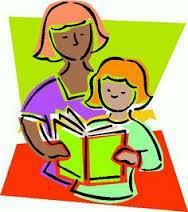 Formal parent/teacher consultations are held three times a year and you will receive a written report annually. You can arrange to discuss your child’s progress at any time. Within a few weeks your child will bring books home. Please encourage your child to take care of them as replacements can be costly. Finding a quiet time and place to share with your child, or hear them read their reading book is a special time for them and you, and will make a significant impact on their learning. We ask you aim for a minimum of 3 times a week, 5 times a week is even better! Helping your child learn their weekly spellings, using these words or spotting them in books and helping with other home learning will also have a positive impact. There are many ways that parents can get involved in supporting the school. Please ask for more details if you are interested.